Ytterbium: Mineral information, data and localities. 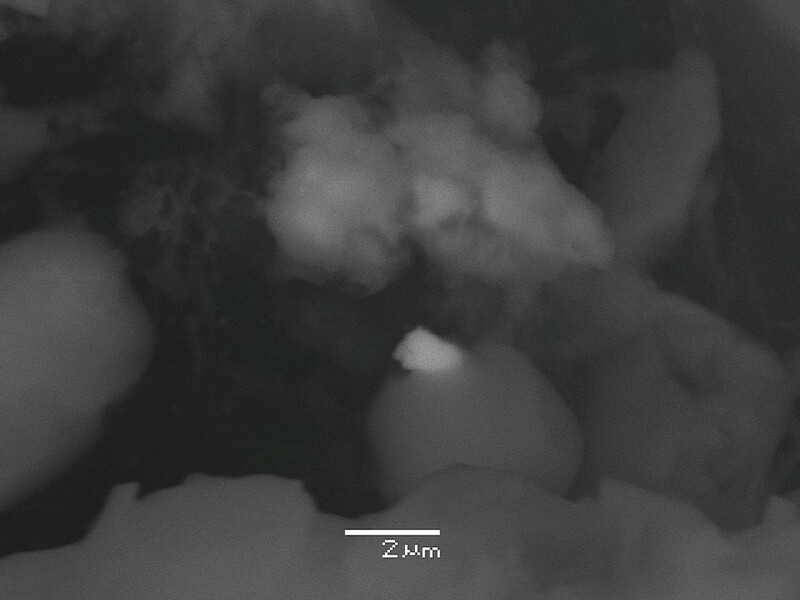 As micrograins (up to 1 μm) embedded in halite/sylvite crusts, covering surfaces of particles of impact glass, sampled in a coarse fraction of regolith returned from the Moon by the Russian Luna-24 mission. Unfortunately, it is unknown which polymorph of metallic Yb was found - α-Yb with copper-type structure or β-Yb with α-iron-type one. Molybdenum 4 photos of Ytterbium associated with Molybdenum on mindat.org. Sylvite 4 photos of Ytterbium associated with Sylvite on mindat.org. Halite 4 photos of Ytterbium associated with Halite on mindat.org. Bastnäsite-(Ce) 2 photos of Ytterbium associated with Bastnäsite-(Ce) on mindat.org. Glass 2 photos of Ytterbium associated with Glass on mindat.org. Mokhov, A.V., Kartashov, P.M., Gornostaeva, T.A., Bogatikov, O.A. (2011): Native ytterbium of regolith AS Luna-24. Doklady Earth Sciences, 441, 1692-1694.